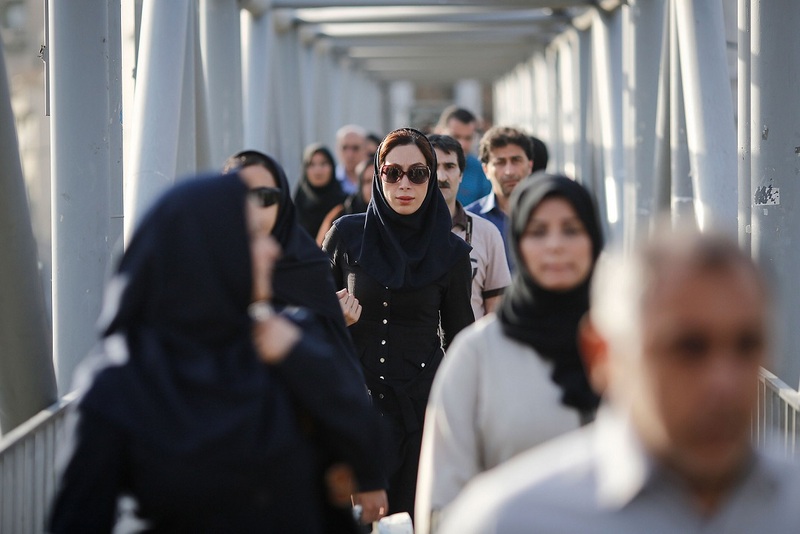 Life in Iran is about to change. 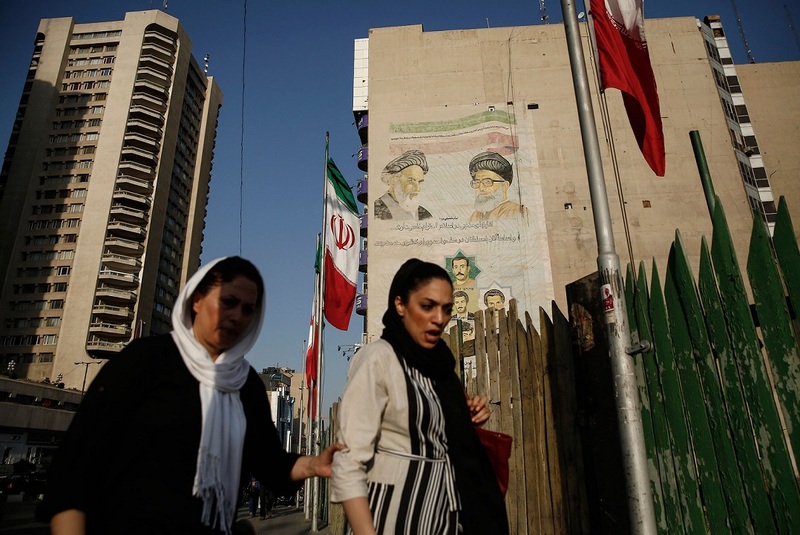 With a nuclear deal struck with the West, Iranian officials are looking toward “a new chapter.” For ordinary Iranians, it marks the end of several years of severe economic instability. 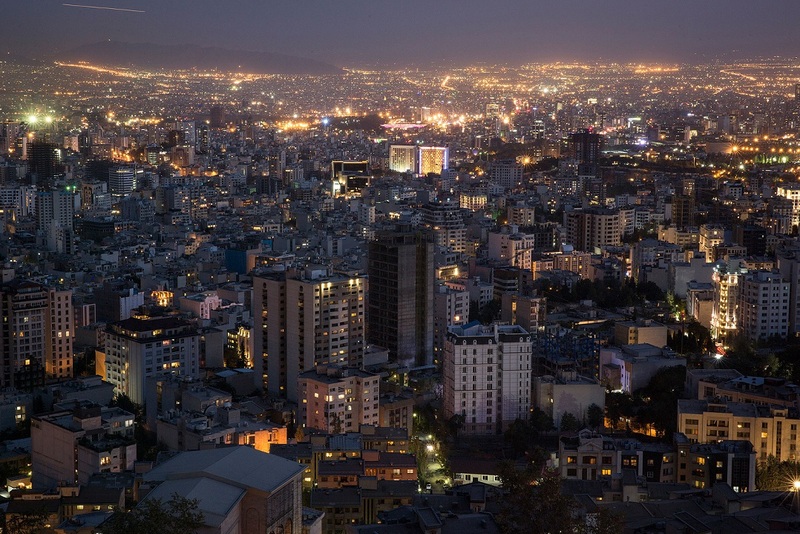 A small team of Bloomberg reporters recently visited Iran’s sprawling capital, Tehran, and the historic city of Isfahan, to meet with senior officials, young entrepreneurs, executives, leading female voices, and countless ordinary Iranians. 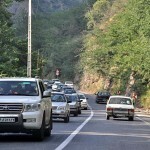 At times it was difficult to see the damage of sanctions. 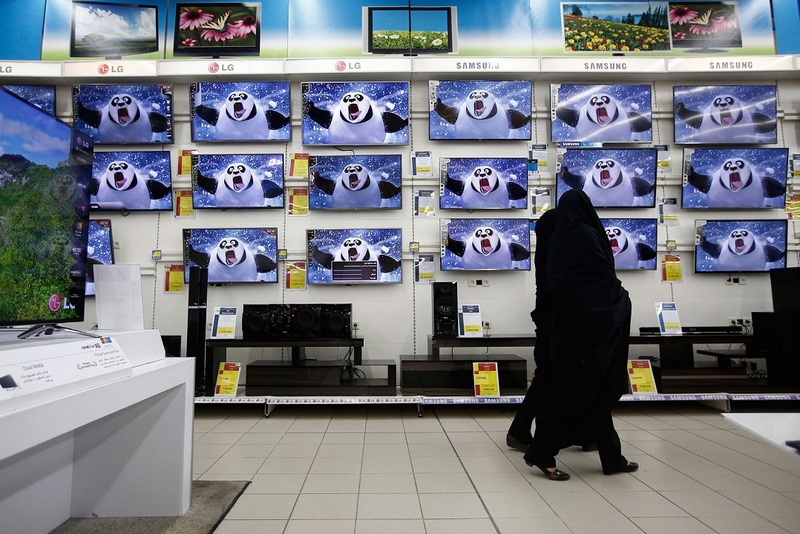 Massive, multi-million dollar shopping malls that could easily compete with the biggest and newest in Europe, were selling foreign-branded goods. 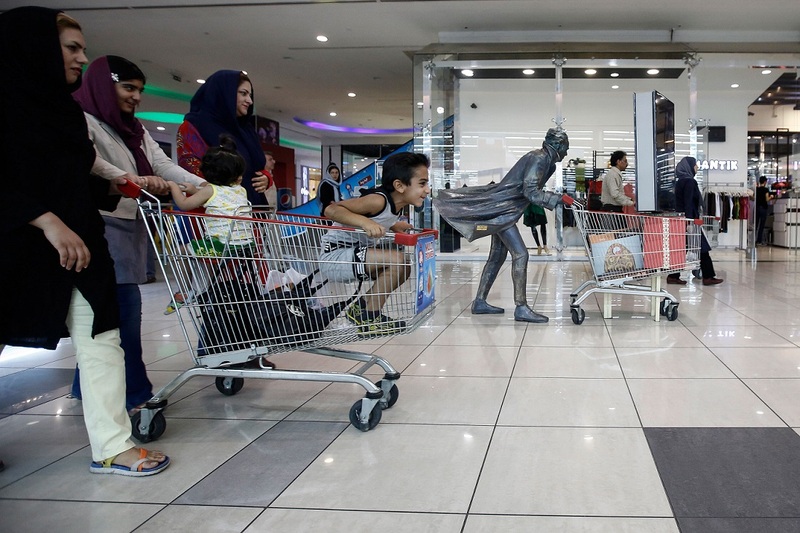 Hypermarkets were stacked with flat-screen TVs, genuine Nike branded trainers were being sold in Nike branded stores. 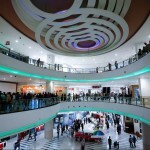 U.S. clothing retailer Forever 21 was apparently “coming soon”, according to one store-front in an Esfahan mall. 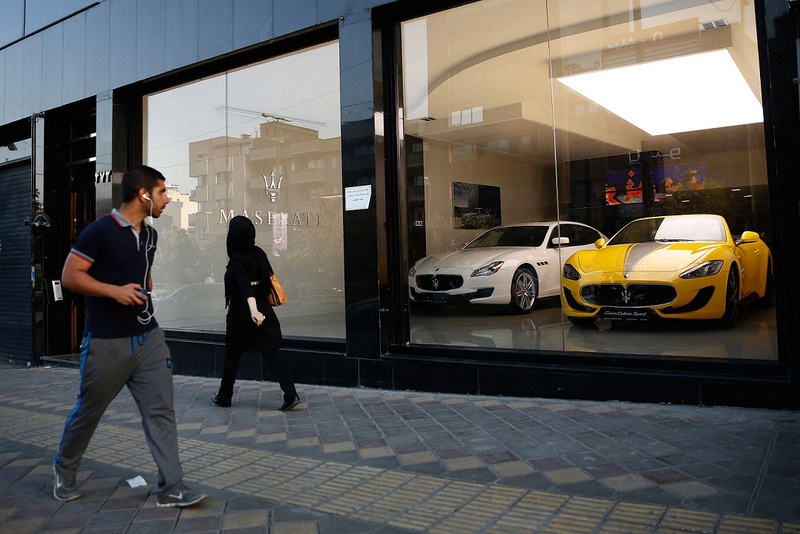 The middle- and lower-middle classes, who make up the bulk of Iran’s consumers, perhaps gave a more accurate picture of the psychological turmoil caused by sanctions. 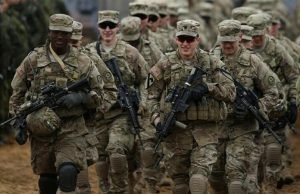 Many complained about having to ration household budgets, of not being able to afford the right medicines for sick relatives and struggling to support children studying overseas. 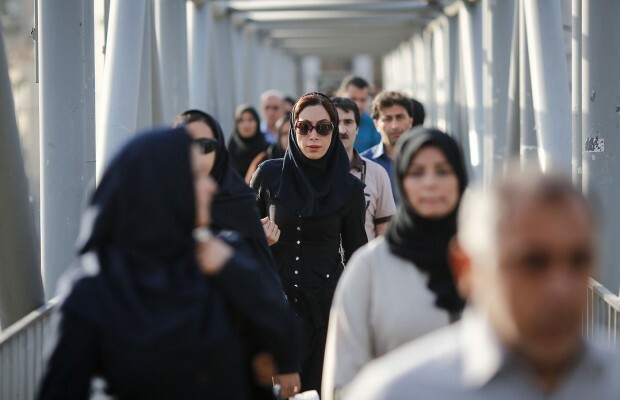 Almost everyone interviewed on the streets was in favor of the nuclear deal. 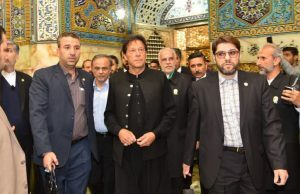 A hardline conservative MP and the editor of Iran’s leading conservative daily newspaper were among those we met who had concerns about the deal, and who even expressed hope that it might fail. 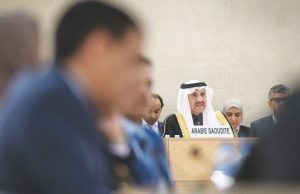 The very wealthy seemed, unsurprisingly, the least affected by sanctions, but were busy plotting new ventures and laying the groundwork for what many of them said would be an influx of foreign business. 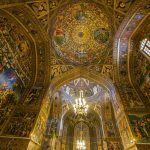 Religion is a key feature of life in the Islamic Republic of Iran. 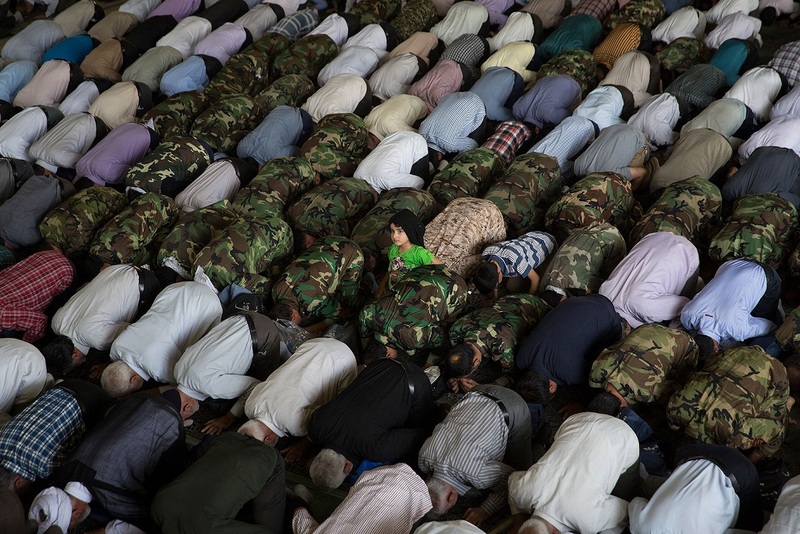 Here, a young boy kneels among worshippers, some wearing military fatigues, during Friday prayers at the University of Tehran. Elsewhere, business rules the roost. 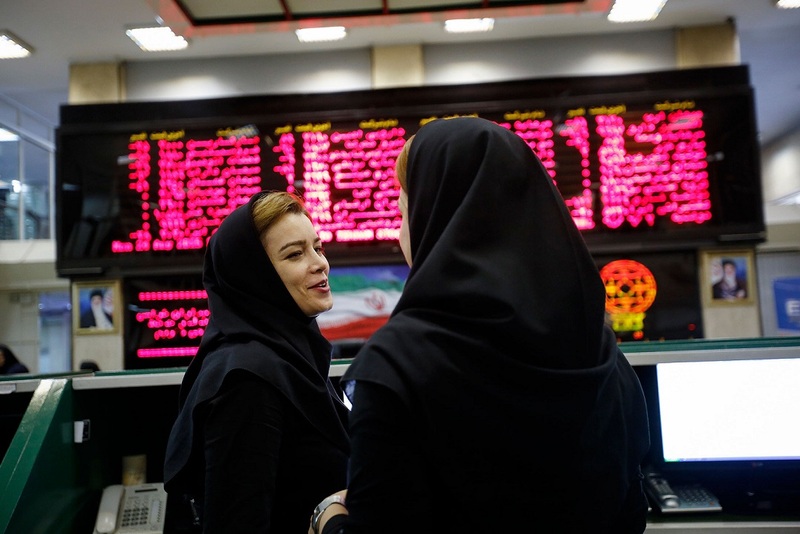 Female employees talk beneath electronic screens displaying financial data at the Tehran Stock Exchange. Tourism is likely to be key beneficiary of any thaw in relations with the West. Here, Iranian tourists and local residents visit the UNESCO World Heritage site of Naqsh-e-Jahan square in Isfahan. 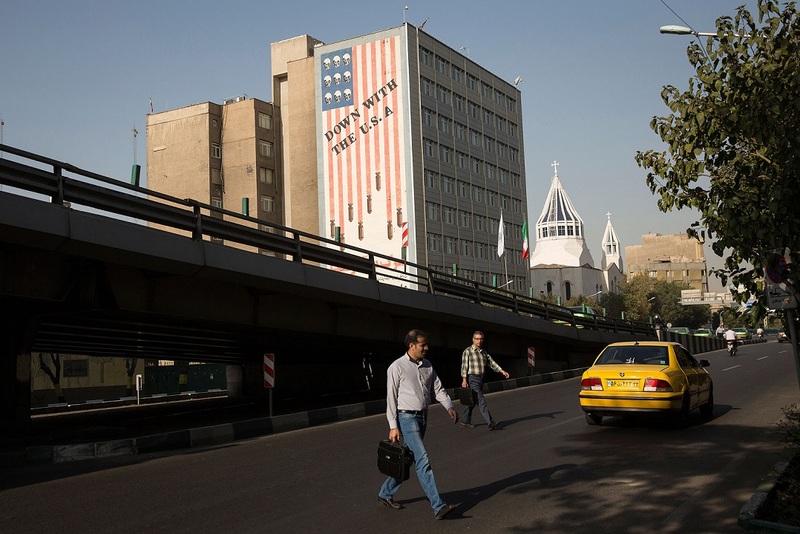 Officials were quick to tell us that sanctions removal won’t be a silver bullet for Iran’s economy and that the country’s focus was not on what foreign companies and investors could do for Iran, but how Iran has to become more effective at providing for itself. 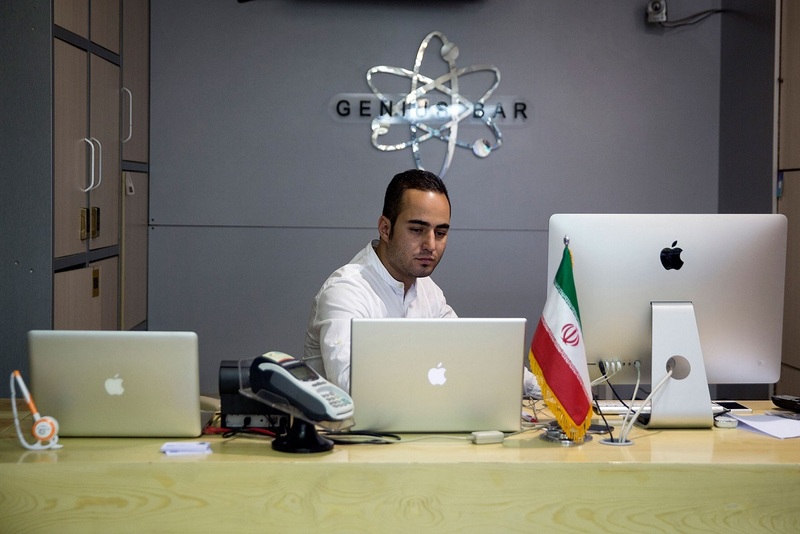 An employee uses Apple laptops at the sales counter inside an electronics superstore in Tehran. 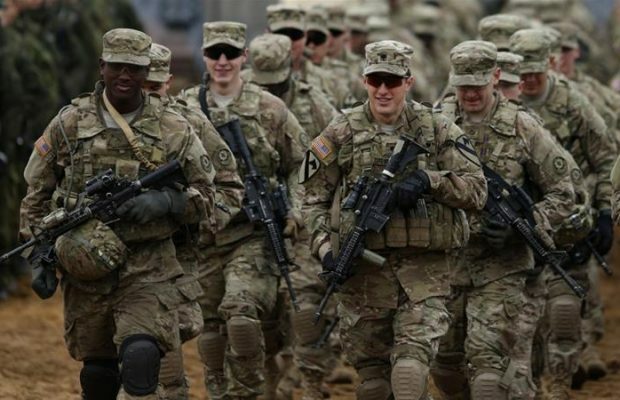 Often senior government officials would say that Iran’s main goal is to build a more self-sufficient economy, less dependent on its main export – crude oil – and less vulnerable to exogenous shocks, such as foreign-imposed sanctions. 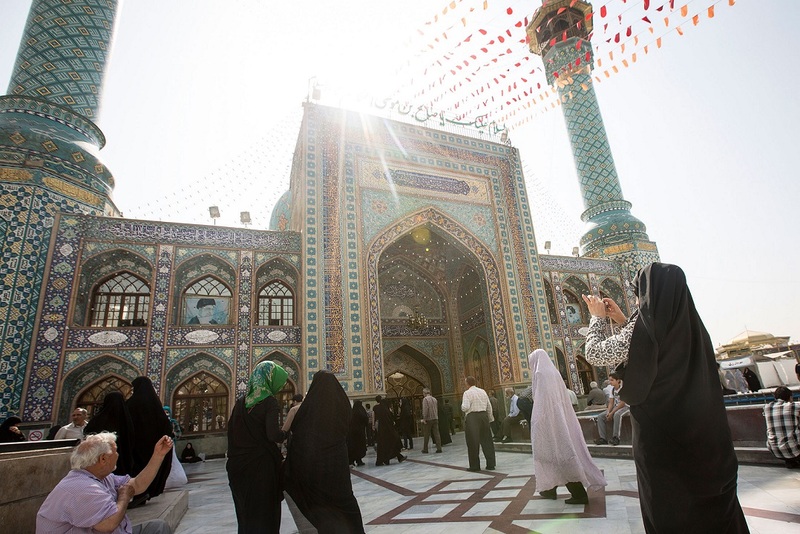 In contrast to the modern bustle, Iran’s religious leadership remains ubiquitous. 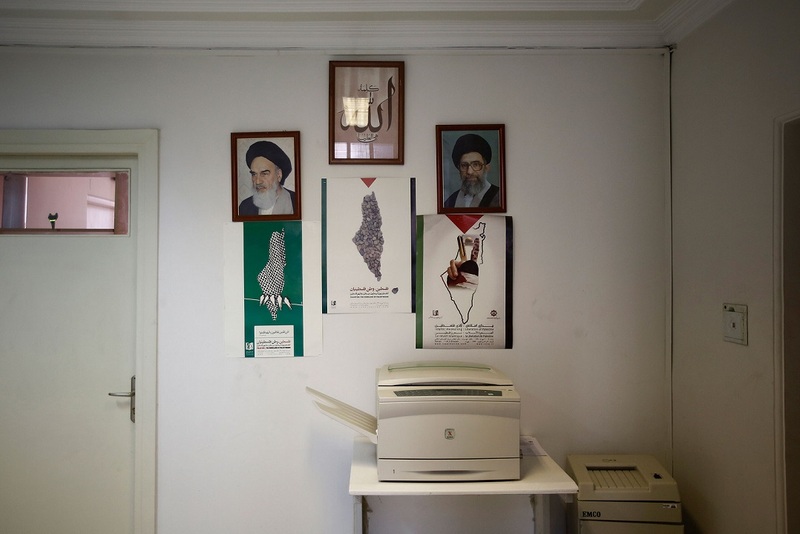 Framed portraits of Ayatollah Ali Khamenei, Iran’s supreme leader, right, and Ruhollah Khomeini, founder of the Islamic republic of Iran, sit on a wall in a government office in Tehran. 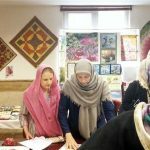 Traditional Iran lives on, too. 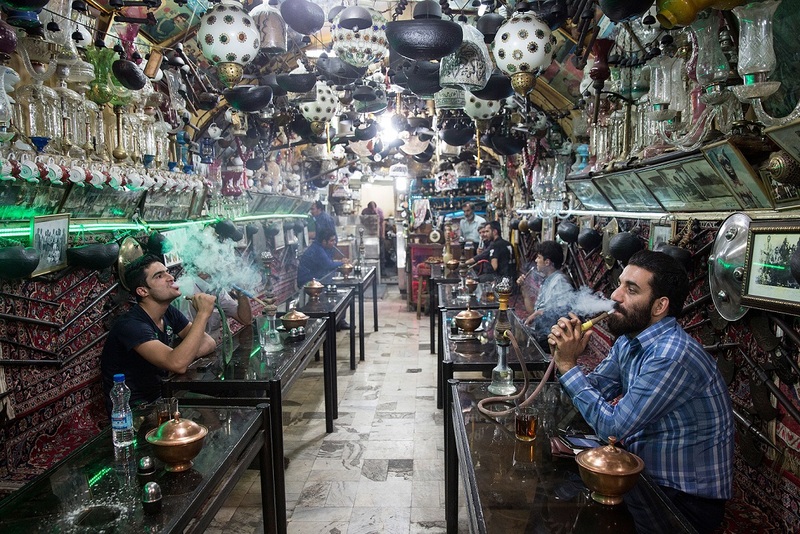 Here, customers smoke shisha pipes inside the Haj Mirza traditional teahouse in the Nagshe Jahan bazaar in Isfahan. 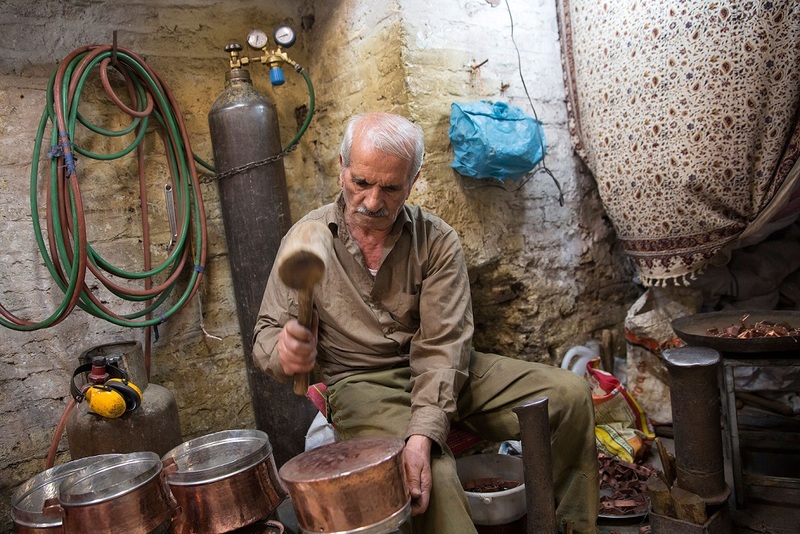 A worker shapes copper pans inside the Nagshe Jahan bazaar in Isfahan, Iran. 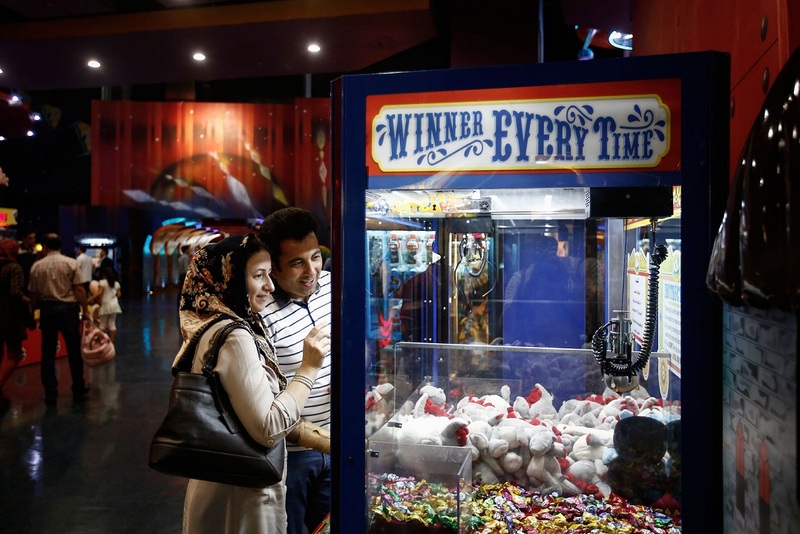 Visitors play a coin machine game in the amusement park inside the Isfahan City Center shopping mall. 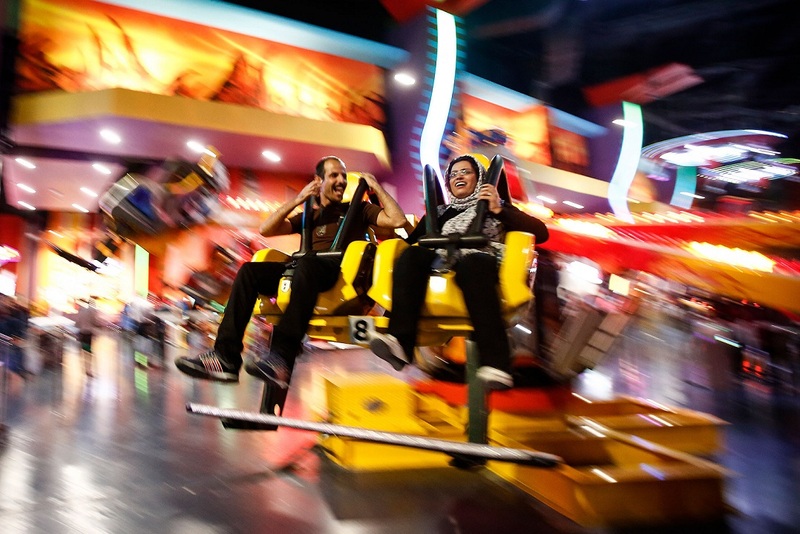 A couple enjoy a ride in an amusement park inside the Isfahan City Center shopping mall. 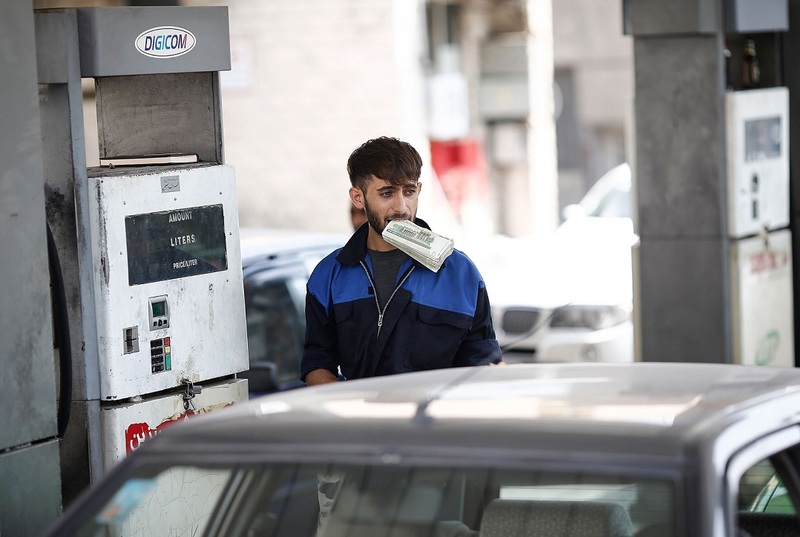 An attendant holds a bundle of rial banknotes in his mouth as he fills a customer’s car at a gas station in Tehran. 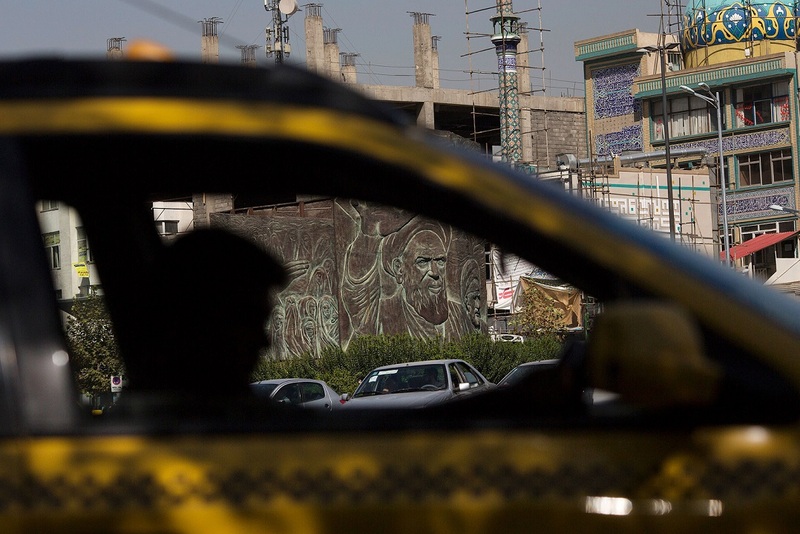 A taxi passes a monument showing the face of Ruhollah Khomeini, founder of the Islamic republic of Iran, in Tehran.